Tiramisu: Heaven on a Dessert Plate! But, I thought it was an absolutely great challenge, and since my family are all coffee lovers I decided to go for it!! So, thank you Aparna and Deeba for this month's challenge! So I left my high heels in the closet and put on my firm baking/walking shoes!! This divine Italian dessert translates to mean ‘pick me up’, supposedly referring to the ‘kick’ provided by the strong coffee, sugar and alcohol in it! 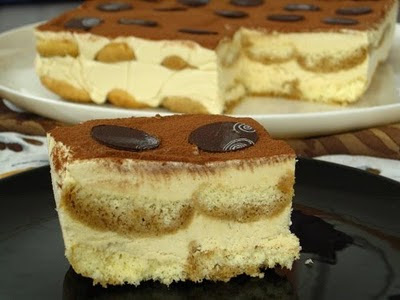 Classic tiramisu is made of alternate layers of espresso soaked ladyfinger biscuits and a cream made from mascarpone cheese and zabaglione (an egg custard). The mascarpone cheese needs to be made at least a day in advance. The zabaglione and pastry cream also need about 4 hours to an overnight for chilling, as does the main dessert. 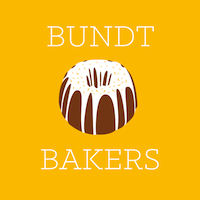 The flavours mature after an overnight rest, and the dessert can be kept refrigerated for 2-3 days. Once assembled, the tiramisu can be frozen till you need to serve it. Bring 1 inch of water to a boil in a wide skillet. Reduce the heat to medium-low so the water is barely simmering. Pour the cream into a medium heat-resistant bowl, then place the bowl into the skillet. Heat the cream, stirring often, to 87,8ºC. If you do not have a thermometer, wait until small bubbles keep trying to push up to the surface. It will take about 15 minutes of delicate heating. Add the lemon juice and continue heating the mixture, stirring gently, until the cream curdles. Do not expect the same action as you see during ricotta cheese making. All that the whipping cream will do is become thicker, like a well-done crème anglaise. It will cover a back of your wooden spoon thickly. You will see just a few clear whey streaks when you stir. Remove the bowl from the water and let cool for about 20 minutes. Meanwhile, line a sieve with four layers of dampened cheesecloth and set it over a bowl. I didn't have cheesecloth and just a normal kitchen towel (fresh and washed of course ;) ) Transfer the mixture into the lined sieve. Do not squeeze the cheese in the cheesecloth or press on its surface (be patient, it will firm up after refrigeration time). Once cooled completely, cover with plastic wrap and refrigerate (in the sieve) overnight or up to 24 hours. As you can see they turned out beautifully. 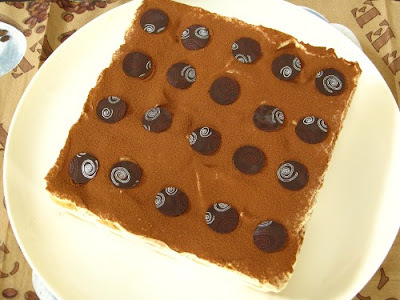 You can also bake them in rounds (big circles) if you want to assemble a round dish with the Tiramisu. This recipe makes approximately 24 big ladyfingers or 45 small ladyfingers. Preheat your oven to 175ºC degrees, then lightly brush 2 baking sheets with oil or softened butter and line with parchment paper. Fit a pastry bag with a plain tip (or just snip the end off; you could also use a Ziploc bag) and fill with the batter. Pipe the batter into strips that are the length you want or make circles if you are making a round tiramisu. 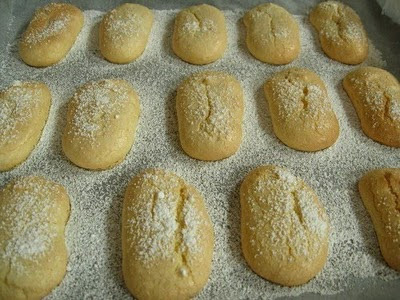 Bake the ladyfingers for 10 minutes, then rotate the sheets and bake for another 5 minutes or so until the puff up, turn lightly golden brown and are still soft. Mine didn't take that long, they were done in about 12 minutes. And now up to to the clouds of Zabaglione!! I made it with Marsala, and I have to say my family just loved it!! For me, it tasted like wine and liquor and I am not really into that ;-) I had some trouble getting the mixture to thicken, I think my "double-boiler" system (which I don't have) wasn't working well enough, so make sure you put a bowl on top of the pan that fits really well (no steam should escape from the sides). The pastry cream was also a very smooth road, and the result just delicious!! And more clouds on our way with the whipping cream! And at last we reach our goal of the divine Tiramisu! Have ready a rectangular serving dish (about 20 x 20 cm is just fine) or one of your choice. 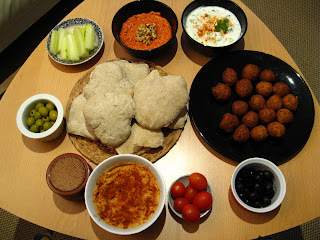 En fin, el desafío de este mes en The Daring Kitchen era Meze. Se trata de lo que podríamos llamar una versión de Cercano Oriente de nuestras tapas. 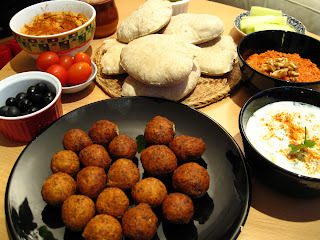 Los únicos platos obligatorios eran los panecillos pita y el hummus. Aunque Lara tiene su propia receta de hummus, esta vez era obligatorio usar la del desafío, y la verdad es que no quedó tan rico como con la otra. Pero también es verdad que no teníamos tahina, así que la sustituimos por mantequilla de cacahuete, como sugerían en el desafío. Sin embargo el resultado no fue espectacular. Los panecillos pita se preparan muy fácilmente y salieron de maravilla (aunque podrían haber sido más planos y redondos, eso sí). Pon los garbanzos y la cebolla en la picadora. Añade el perejil, cilantro, sal, guindillas, ajo y comino. Usa la picadora hasta que esté bien mezclado, pero no hecho completamente puré. Añade la levadura química y la harina, y dale un par de toques con la picadora. Después puedes sacarlo y amasarlo hasta que forme una pequeña bola que no se pegue a las manos. Puede que necesites añadir más harina o bulgur. Ponlo en un cuenco, cúbrelo con film transparente, y déjalo reposar varias horas en la nevera. Forma bolas del tamaño de nueces a partir de la masa. Calienta el aceite a 190ºC, y fríe una primera bolita para probar. Si se deshace, añádele a la masa un poco más de harina. Fríe las bolitas de 6 en 6, por los dos lados, que queden doradas. Después de freírlas, sécalas con papel de cocina. También puedes hornearlas (sobre papel de hornear) a 160ºC, unos 20 minutos. Una pizca (o algo más) de pimentón picante, o de copos de guindillas secas de Cayena. Mete los pimientos en la picadora, y hazlos puré (si usas guindilla seca, métela también). A continuación añade las nueces y todos los ingredientes, y pícalos muy brevemente, que quede un poco basto. Y eso es todo. Más fácil imposible. Para acompañar pusimos también unas aceitunas, tomates y trozos de pepino fresco. Como siempre, todas las comidas de picar están buenísimas. Y aunque no todo salió como esperábamos, hay un par de cosas que desde luego vamos a repetir.